This organization is a resource for those who would like to learn the traditions and music of an Irish tune session. The traditions for Irish tune sessions come from a long standing tradition formed many years ago in Ireland. Today, most large cities and many smaller cities in the world have at least one Traditional Irish Music Session playing in a local Irish pub or coffee house. It is our intent to prepare those who attend our sessions to play at least a few tunes they know in a live session somewhere in Dallas and beyond. …a gathering of Irish traditional musicians for the purpose of celebrating their common interest in the music by playing it together in a relaxed, informal setting, while in the process generally beefing up the mystical cultural mantra that hums along uninterruptedly beneath all manifestations of Irishness worldwide. The objective in a session is not to provide music for an audience of passive listeners; although the punters (non-playing attendees) often come for the express purpose of listening, the music is most of all for the musicians themselves. “Audience” requests for a particular song or tune of the players can be considered rude. The session is an experience that’s shared, not a performance that’s bought and sold. 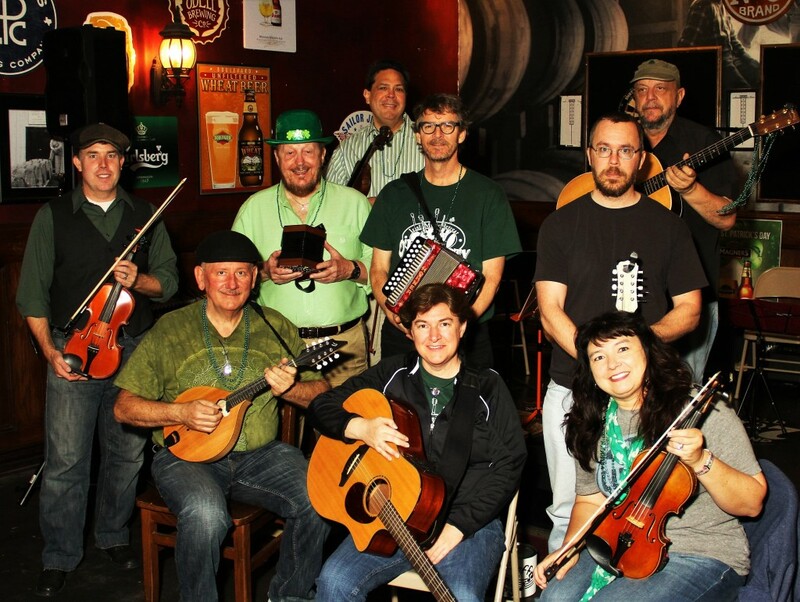 Dallas Slow Sessions is sponsored by the Traditional Irish Music Education Society and the North Texas School of Irish Music.